At Thorpe Lea Dental we understand that oral hygiene is vital for your dental health and your overall wellbeing too. We prefer to prevent problems from occurring rather than simply fixing things when they go wrong. We recommend regular dental visits for examinations and hygiene treatments to ensure your mouth, teeth, and gums remain in great condition. Our high-quality hygiene treatments include cleaning, gum care, scaling and polishing. our range of hygiene services will help keep your gums healthier and your teeth brighter. When it comes to our teeth, debris, plaque, and dull teeth are the epitome of poor health. Healthy teeth are spotlessly clean and shiny. whitening lasts longer if carried out after a thorough hygiene clean. This ‘Fresh’ hygiene session is designed to maintain your current gum health and includes a gum health check and oral hygiene advice. It is ideal for regular attenders who have hygiene visit every 4-6 months. We do not recommend this treatment for new patients, or if you have not been for a hygiene visit for a few years. In this case we would recommend our ‘Double Fresh’ hygiene service. Upgrade your ‘Fresh’ hygiene clean with this amazing air polish. This extended visit will restore the sparkle to your smile. AIR-FLOW® is a high powered air-jet stain removal system that blasts away stubborn stains using air and bicarbonate powder. The result? A stain free, brighter smile. 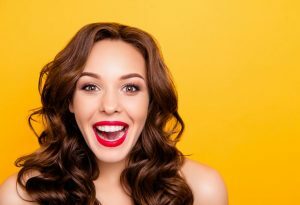 Clean & Fresh is ideal if you haven’t seen a hygienist for more than 6 months or if you regularly consume foods that stain teeth such as tea, coffee, red wine and curries. Our most extensive hygiene service, ideal for patients that are new to our practice or have not had a hygiene visit for a few years. Looking for extra sparkle? Add AIR-FLOW to your “Fresh” or “Double Fresh” hygiene treatment for £35. Call 01784 454899 to find out more or to book your appointment click here.